When it comes to email and web management, financial institutions have long been aware of the pressing need for legal and regulatory compliance-and the steep cost of noncompliance. The list of banks, credit unions, and financial services firms that have been penalized for email and Internet mismanagement reads like a who's who of the financial services industry. It's not uncommon for regulatory bodies including the SEC and FINRA, as well as federal and state courts to impose multi-million-dollar fines and judgments on banks and financial services companies that mismanage email content, have inadequate record retention policies and procedures in place, or fail to turn over subpoenaed email and other electronically stored information (ESI) in a timely and trustworthy-legally compliant-fashion. Financial institutions cannot afford to play fast and loose with legal and regulatory compliance. 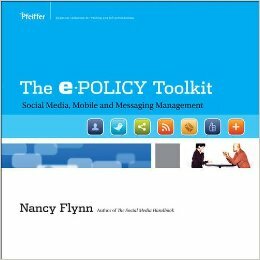 In this program, Nancy Flynn, author of The Social Media Handbook, The ePolicy Toolkit, The e-Policy Handbook and executive director of The ePolicy Institute, reveals why (and how) banks, credit unions, and financial services firms must develop and implement strategic email and web compliance management programs that combine formal policies with employee education and proven, reliable technology designed to deliver cost-effective, comprehensive compliance with the ever-increasing guidelines set forth by courts, legislative bodies, and regulatory entities. The alternative? Face potentially costly consequences including protracted litigation, stiff regulatory fines, reputation-shattering security breaches, malicious intruder attacks, lost productivity, business interruptions, and public embarrassment should a workplace lawsuit be filed, a regulatory investigation be launched, or the media get wind of a particularly salacious electronic disaster story. How to write and implement ePolicies, based on best practices.